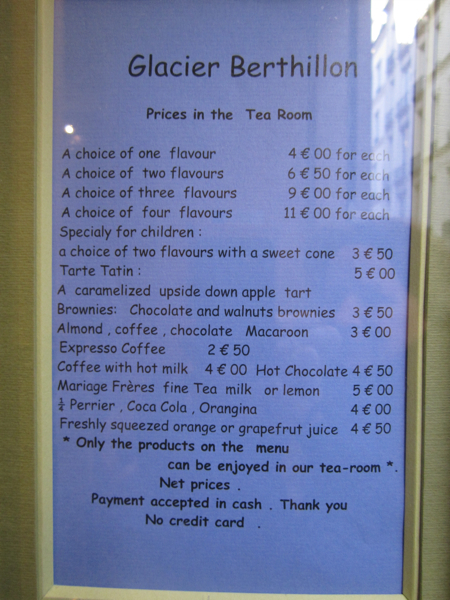 Berthillon is probably the only ice cream café in the world that closing during the summertime. But it’s also one of the few that made it into "The Ten Best of Everything Guide". In other words: Berthillon is not only about ice cream, it’s a life changing experience. The sun shows up, it’s spring, finally, the skirts of the Parisian girls are getting shorter, the glances more and more yearning. And there is this sudden and forgotten desire for – guess what? For ice cream, of course. So why not try one of the best ice creams in the world? It’s Paris after all and here we have Berthillon, an institution. Some say Berthillon is to ice cream what Château Lafitte Rothschild is to wine. 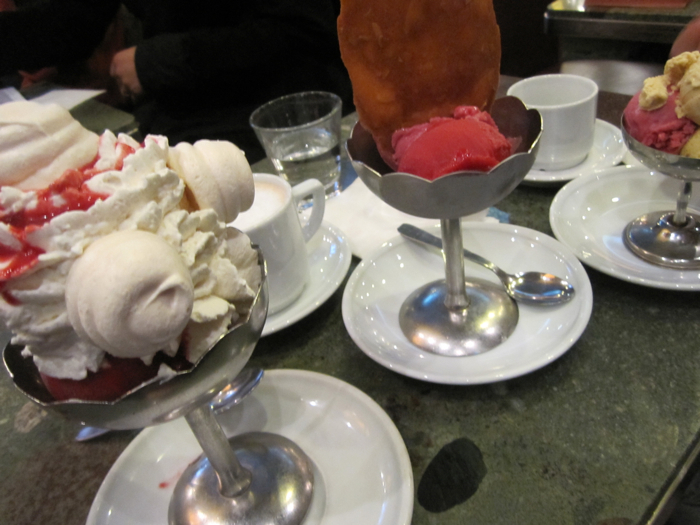 My favourite French restaurant critic, the very witty François Simon, called it “the Deutsche Grammophon” to ice cream. Are they all exaggerating? Not at all. The other day, I went there on a Sunday afternoon. It was not freezing, but still pretty cold. 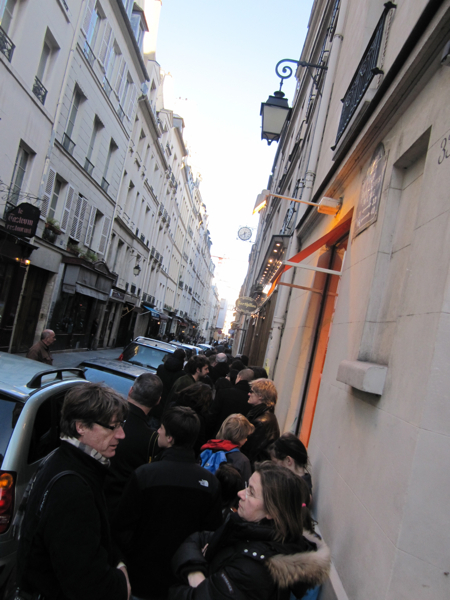 We had to wait about 45 minutes outside the salon du thé to get a table. The queues in front of the take-away window were also discouragingly long. But people wait without complaining. Take the length of the queues as barometer of quality. And then this: the encounter. The crucial moment when you put the first spoon of let’s say honey nougat or gianduja in your mouth. It’s an explosion of taste. It’s not too sweet, it’s not too cold, just comme il faut. How the hell can ice cream be so incredibly good? This is a long story. It started it 1954, when Raymond Berthillon, a baker, decided to help out his mother-in-law who had a café on Île Saint-Louis. He arrived with a huge ice cream maker and started to experiment. And Raymond only used the best ingredients, no chemical preservatives, no artificial sweeteners or stabilizers or flavourings. And this is how it still works today in this family business. Monsieur Berthillon, 87 years old today, is still there supervising the non-industrial production in the lab just behind the café. But in the meantime there are four generations of Berthillons working to make the wonder happen again and again. Every day they produce around 1 000 litres of ice cream, 70 flavours all together, with products bought the same day at Rungis, the huge food market outside Paris. That’s why you’ll never find all the flavours together at Berthillon. The sorbets, the fruit flavours, are stunning. Try fraise de bois, the wild strawberry. I do believe Marie-Jo Berthillon, daughter of Raymond, when she says they do not earn a penny with this flavour. 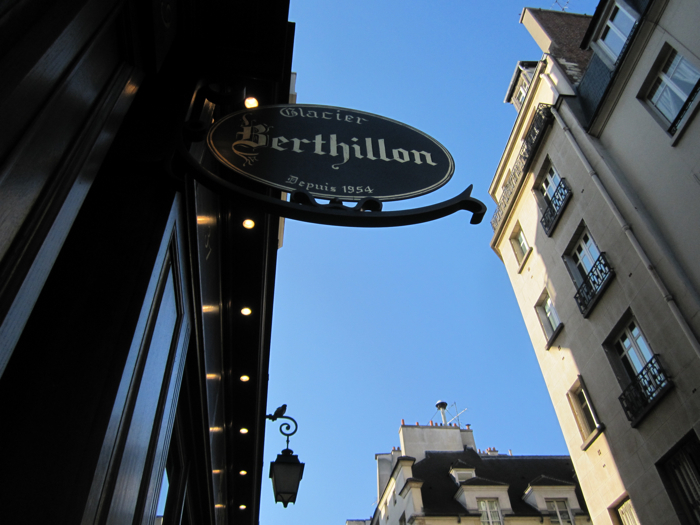 As the Berthillons are French and crazy enough to close the café for six weeks during summer (ok, they really deserve their holidays), you can find plenty of retailers of Berthillon ice cream on Île Saint-Louis. 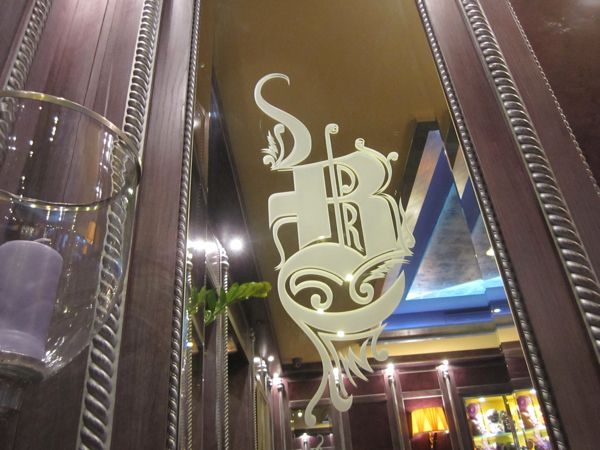 There are also about 140 restaurants in Paris, where you can get it. But careful, the ice cream should be eaten the same day. The connoisseur therefore shows up at Berthillon before 1 pm. Not only do you get a table more easily, but the ice cream, that the Berthillons started to produce the very same morning at 4:30 am, is at it’s best. Do we need to mention that Carole Bouquet, Gérard Depardieu, Daniel Auteuil and even Jodie Foster, when in Paris, are seen here? 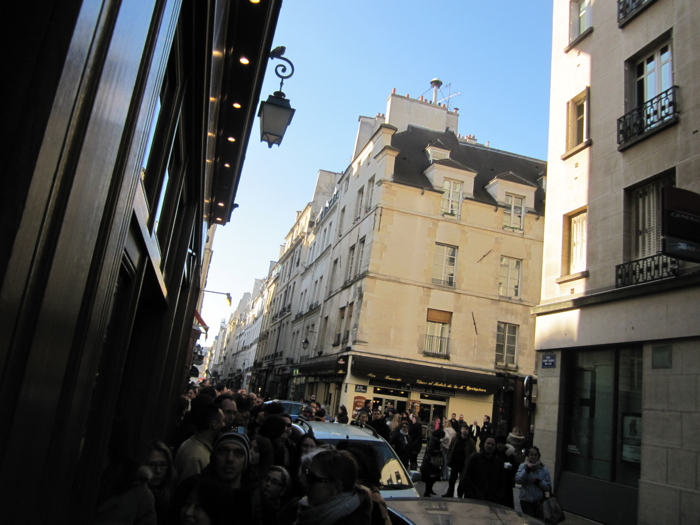 The thing is, sometime Parisians flock here in such numbers, that gendarmes have been called out to direct the traffic. So do it like my friend François Simon: come early, not in the afternoon. Enjoy a sundae with lots of cream - and just skip lunch.